Students, take advantage of your FREE access to Vault. ​Vault.com provides in-depth intelligence on what it's really like to work in an industry, company or profession—and how to position yourself to land that job. If you are on campus, you do not need to create an account. 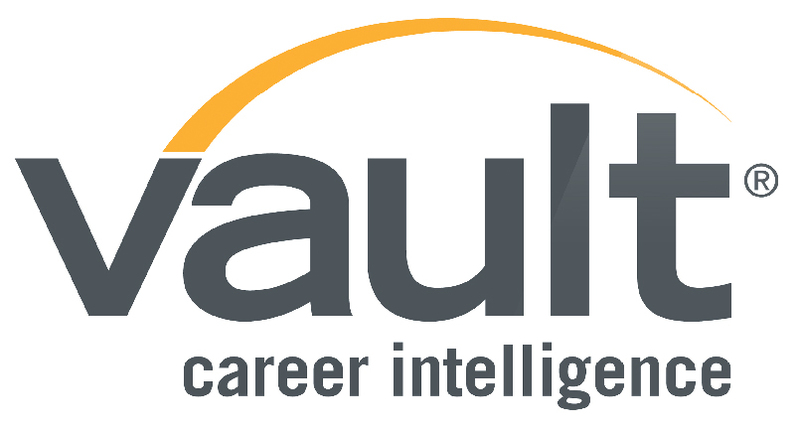 Vault Guides – over 100 titles of award-winning career guides, including specific industry guides, interview strategies, job-search tips, and full-length profiles of leading companies. On campus users, no account setup or login is necessary. Off campus, use your Arcadia email address to set up an account. Affordable Colleges Online has excellent resources for current students and recent graduates looking to land their first job. Their Careers After College and Job Offers Guide includes expert commentary on topics such as: "Questions to Ask While Evaluating a Job Offer," "18 Career Terms to Know Before Accepting a Job," and "Negotiating a Job Offer and Salary." AngelList is a great place to find jobs with startup companies. AngelList is also a platform for startups to raise money online, recruit and apply to incubators. Bender Consulting Services, Inc. is committed to ensuring that people with disabilities have equal access to competitive career opportunities in a variety of disciplines. Bender aligns with hiring companies in the private sector and the federal government, seeking talented applicants who are passionate about making contributions and advancing in the workforce. Campus Philly Careers Hundreds of internship and job opportunities await! Campus Philly Careers is free and exclusively for current students at Arcadia University and Campus Philly Partner Schools. Additionally, Campus Philly hosts career events throughout the city during the academic year. CareerBuilder.com Similar to Monster, this job listing service offers endless openings for jobs and careers in a specified area. Both part-time and full-time jobs are available here. Be prepared to spend time sorting through which jobs are the most applicable. College.Monster.com features constantly updated job listings for all careers, separated by area or field. Job seekers can search by keyword, location, or even pay. Message boards are updated daily as are useful articles that provide tips to job hunters. CollegeRecruiter.com is aimed specifically at recent grads but also offers job postings and expansive resources for any job seeker. Résumé advice, interview tips, and common job hunting mistakes are all topics you’ll find here. Diversity Employers Digital Magazine gives you quick access to more features than you find in a print magazine, such as quick preview of all pages, click to the next page, view all links, view archive issues, print, search, download the entire issue, and more. Education Career Resources provides the website links to over 75 public and private schools, parochial schools, and education agencies with teaching opportunities - across the country and the globe. This includes positions for both state-certified and non state-certified teachers. Educate PA provides you with free access to every public school teaching position in Pennsylvania for the entirety of your Senior Year. As Pennsylvania’s most comprehensive public school job database, Educate PA will provide you invaluable information to help you locate teaching openings across the state. In order to have access to the database, you must click here to begin the sign up process. A username and password will be provided by Educate PA and sent directly to your email address. Fairygodboss is the largest career community for WOMEN. They offer female jobseekers the inside scoop on how a company's culture supports and promotes women before they apply. Their many resources include a job search checklist for new graduates, a job search platform, articles with expert career advice, and rankings & and scores for the best companies for women. All of these resources are FREE. Glassdoor holds a growing database of 6 million company reviews, CEO approval ratings, salary reports, interview reviews and questions, benefits reviews, office photos and more. Unlike other jobs sites, all of this information is entirely shared by those who know a company best — the employees. Add to that millions of the latest jobs — no other community allows you to see which employers are hiring, what it's really like to work or interview there according to employees, and how much you could earn. Glassdoor is also available via its mobile app on iOS and Android platforms. HR University provides extensive tools such as the Federal Occupations Toolkit, which features a quick search on USAJOBS to see all available positions in the Federal Government, the Interns and Recent Graduates page, which features info about the Pathways Program, and an Applicant Tools and Resources section, featuring short informational videos answering job seekers' FAQs about the Federal hiring process. Idealist.org connects prospective employers with new graduates in fields such as public administration, international affairs, education, public policy, public interest law, social work, nonprofit management, global and public health, theology, environmental science, and socially responsible business. Indeed.com is a great resource for creative job seekers. Writers, artists, historians, and even musicians can find work here, easily searchable and sortable through the interface. Intern U lists some of the premier paid internship opportunities for students in the Philadelphia area. This business model teams college interns with seasoned professionals to deliver business solutions in the areas of technology, communications, and marketing. Intern U provides you, the student a paid internship to gain practical experience in the real world. Each student works on an Intern U team led by a professional mentor. Internships.com is the world's largest student-focused internship marketplace, bringing students, employers and higher education institutions together in one place. Students can access over 199K internships from 125K companies all over the country for free. Internships.com provides a wide range of interactive tools and services to enable every student, employer, and educator to better understand and optimize internship opportunities. Jobipedia.org is a free service and resource designed specifically for entry level job seekers looking for advice to support their path to employment, but can be used by anyone looking for honest and reliable career advice. Every answer on jobipedia.org is written by a professional currently employed to hire and recruit at a jobipedia.org contributing company (see contributors here). All of the advice and answers provided on the site are from an expert who meets and interviews prospective hires on a regular basis. Joblift.com is the free job search platform providing candidates with the most intuitive and frictionless experience during the recruiting process. By presenting a clear and comparative overview of job offers, the user no longer has to worry about searching separate job boards online. For users not able to check out Joblift on a daily basis, simply subscribe to their "job alerts" - you will be sent the latest job offers that match your chosen criteria, ensuring that you never miss your perfect job! LinkedIn Network with more than 9,000 Arcadia University alumni on LinkedIn via www.linkedin.com/alumni. Search for alumni by where they live (location), where they work (organization), and what they do (industry). Leverage the connections that you make to aid in your career and graduate school pursuits. Use LinkedIn Jobs to research and pursue job opportunities tailored just for you. LinkedIn's salary tool is a great resource to discover your earning potential. For great tips on how to optimize your LinkedIn profile check out this step-by-step guide. Nextio Career Insights can help students answer a number of questions, including what they can do with their major, using real data from over 100 million résumés. Career Insights provides a completely unique, bird's eye view of career choices that students can't find anywhere else. With Career Insights, students can see where alumni of their major got their first job and where they're working now, find out what it takes to land their dream job, get a complete list of companies that hire fore the roles they're interested in, and more. Practice Reasoning Tests is a site designed to help students improve their performance on employer reasoning tests. Quinncia offers online interview simulations with feedback. You will need a resume and webcam in order to conduct a video interview with Quinncia. Create your account with your school email address. Once you finish your practice interview, select “request feedback” and your interview will be scored and you will be provided with feedback electronically (typically within 24 hours). Watch the helpful video tutorial below, then check out this Student Guide for tips on how to make Quinncia work for you. SimplyHired.com allows candidates to explore opportunities by job title, skills, or company. Positions are available for science, social services, business, finance majors and more. Search by Keywords: Recent College Graduate. USAjobs.gov has a Recent Graduates program offering a job for every interest. These positions typically pay well, are widely available, and offer unparalleled experience to those who qualify. My Visa Jobs is a great place to learn about US organizations who sponsor work visas for international candidates. This site is searchable by location and industry. Visa Square is a helpful resource for international students. This site provides information about how many H1B and Green Card applications were filled out by companies to sponser new hires. The information is broken down by States/Cities/Secotrs and Job Titles. What Can I Do With This Major.com Whether you are exploring multiple majors or searching for information about your chosen field, this site will help you connect to specialized job search sites for more than 80 majors. Hours: Weekdays, 8:30 a.m.–5 p.m.